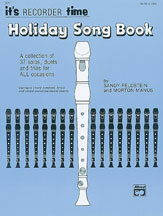 A wonderful collection of songs for all holidays throughout the year. Contains solos, duets and trios plus lyrics! Chord symbols are provided for guitar, piano, omnichord or autoharp.